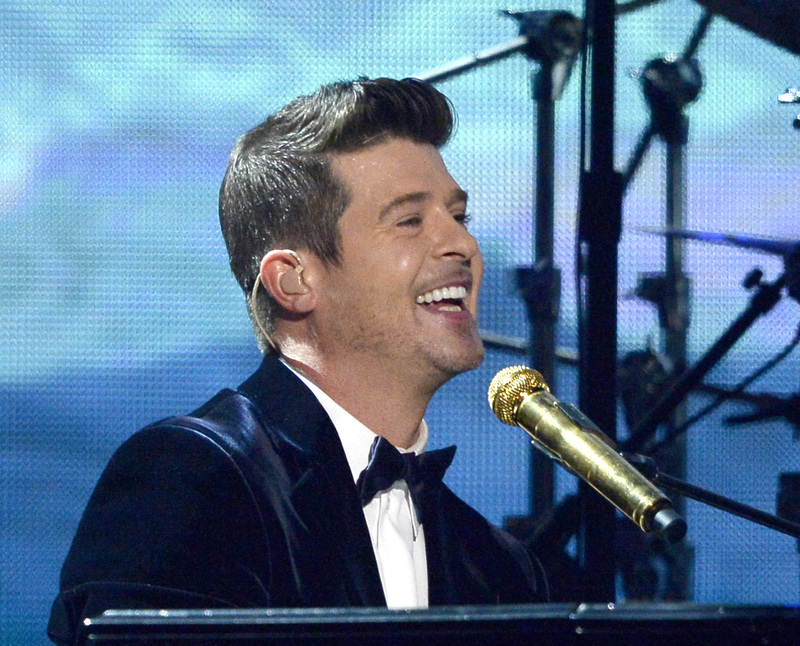 Robin Thicke Cancels 2014 Juno Awards Performance, But Why? Better safe than sorry? Robin Thicke canceled his Juno Awards performance, where it was planned for him to perform Sunday night in Winnipeg, and of course we’re all demanding to know why. Various theories are floating around eve though The Canadian Academy of Recording Arts and Sciences, which organizes the Junos, said the singer had been placed on “mandatory vocal rest” this morning. By vocal, did they really mean emotional? Thicke, who has definitely had a series of obstacles standing in his way lately with the recent split with his wife, the desperate pleas at his concerts to win her back, his son getting into a minor car accident, and the constant stream of people trying to ban his performances, just can’t get it right. It almost makes me feel sorry for the guy. But only slightly. Although Thicke will not be performing, with the gala set to air Sunday night on the CTV network, we have yet to see if he will win any of the categories he has been nominated for and if there will be a major outcry if he does. The singer was nominated for Artist of the Year, Pop Album of the Year, and the Juno Fan Choice Award and who knows how many feminists will be waiting for him outside if things don’t go their way.